NB3N Full 10G is a Redundant Railway Ethernet Switch allowing the design of a switched LAN over trains. 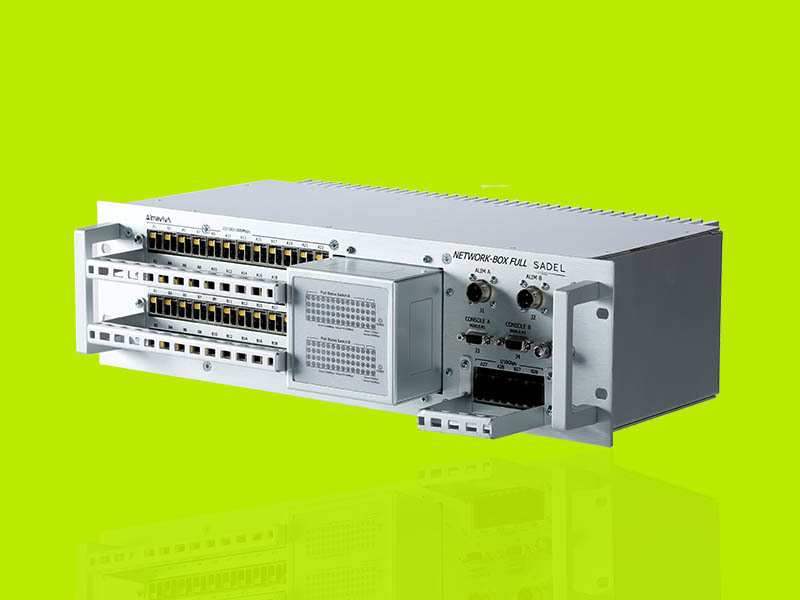 Its structure based on a redundant stack of ruggedized switches offers a large number of advantages in the realization of an IP network, meeting the most demanding needs in bandwidth, reliability and security for train services and operations. NB3n Full 10 G provides all the key features of a Layer2/Layer3 switch, such as VLAN and Quality of Service support, inter-vlan routing, traffic shaping and full multicast support. It’s fully manageable, providing detailed diagnostics based on SNMP protocol. DHCP server and client roles offer the ability to develop a self-contained network solution. RSTP/MSTP allow the deployment of more complex and redundant network topologies. A train network backbone based on NB3N can automatically configure also in variable topology without the need of human intervention, e.g. in case of first deployment or eventual maintenance. NB3n Full 10G connectors solution is railway certified, supporting up to Category 7A link to establish highly reliable backbone or in-vehicle hosts communication. High density design allows the connection of up to 48 end devices with Gb link.